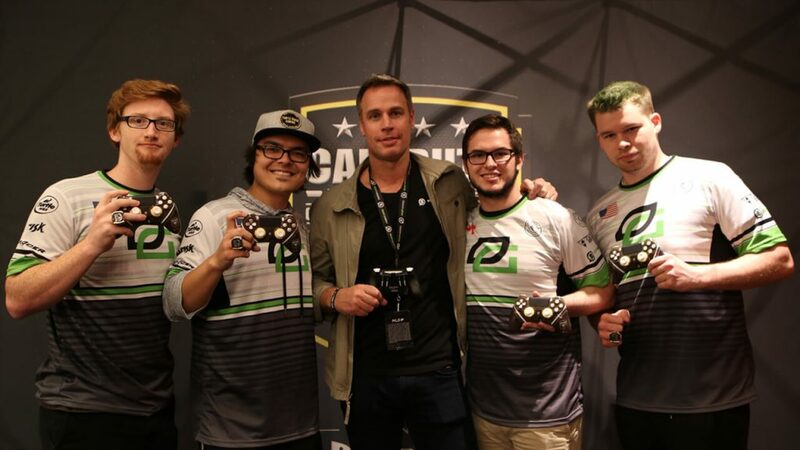 ATLANTA, GA – August 17, 2017 – Scuf Gaming (SCUF), global leader and innovator of gaming peripherals, is the official professional gaming controller partner of Major League Gaming Corp., a wholly owned subsidiary of Activision Blizzard, Inc. (Nasdaq: ATVI), and the Call of Duty World League (CWL), Presented by PlayStation 4, the company announced today. Scuf Gaming has been the official professional gaming controller partner of MLG for the last three years and CWL for the last two. Scuf Gaming®, global leader and innovator of gaming peripherals and winner of eSports Industry Awards for “Best Hardware” in 2016, provides tactical gear for elite gamers where over 90% of the top professional gamers in the world use SCUF. Selling high-end accessories and competitive gaming controllers for console and PC, SCUF offers a number of functional and design features custom built to increase hand use and improve gameplay. Built to specification, SCUF controllers cater to competitive and casual gamers who recognize that one size does not fit all. The SCUF controller has features, which are covered by 30 granted patents, and another 65 pending; protecting 3 key areas of a controller; back control functions and handles, trigger control mechanisms and interchangeable thumbstick control area. For additional information about Scuf Gaming, please visit www.scufgaming.com.